Today, we’d like to celebrate with our friends over at Audio Theatre Central as they recently released their 50th podcast. The latest edition of their podcast features highlights from their first 49 podcasts, including moments from cast and crew interviews. Also the podcast team shares funny moments from the show’s run and discusses their thoughts on the future of Adventures in Odyssey. 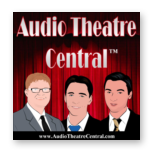 If you aren’t familiar with Audio Theatre Central, it’s a podcast that follows family-friendly audio drama. 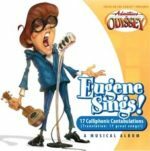 The show discusses what they call “The Top Three”: (ie: Adventures in Odyssey, Lamplighter Theatre, and Radio Theatre). They also cover less-known audio dramas and include commentaries, reviews, interviews, and news segments. We particularly have enjoyed ATC’s faithful run since the beginning as the producers of the podcast get down to the details in their reviews of family-friendly content. The hosts of the show bring entertaining personality and really care about what they do. You can listen to the celebration podcast here. It’s a podcast you won’t want to miss if you’d like to keep your eye on audio drama. Also, be sure to share your comments with the podcasters. After all, feedback is important! Do you listen to Audio Theatre Central? Share in the comments below!